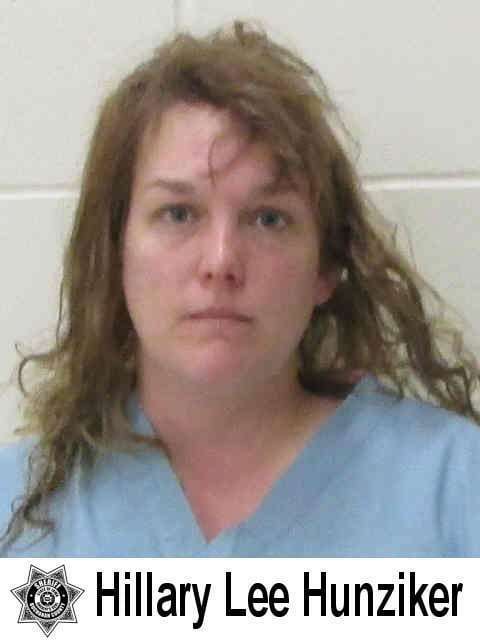 An Independence woman is accused of stabbing her former husband to death Monday morning. The Buchanan County Sheriff’s Office says 32-year old Hillary Hunziker has been arrested and charged with First Degree Murder. Authorities were called to Jason Hunziker’s home at 1933 Henley Avenue northwest of Independence shortly after 4:30 am Monday. According to a criminal complaint, a child in the home called 911, saying, “My mom just stabbed my dad”. Before emergency personnel arrived, a second 911 call came in from Jason Hunziker, who said, “My wife just stabbed me and took my child”. The couple was previously married. Deputies arrived to find Jason Hunziker dead in a bedroom with stab wounds to his arm and leg. The Sheriff’s Office says a large quantity of blood was found on the kitchen floor. An autopsy is pending. Hillary Hunziker and the child were found a short time later in Robins. They were covered in blood, with knives and razor blades in Hillary’s possession. Blood was also found on her vehicle’s exterior and interior. Hillary Hunziker admitted to stabbing her former husband. Hillary Hunziker was later transported by ambulance to be treated for a laceration to her hand. According to the criminal complaint, Hillary Hunziker told ambulance personnel she planned out the stabbing by purchasing a knife, wearing special black boots that were quiet and sneaking into Jason Hunziker’s unlocked house after parking down the road from his home to avoid being detected. Further investigation revealed on Sunday around 9 pm, Hillary Hunziker gave her mother specific instructions on where to take the child if something happened to her or her former husband. About an hour after the murder, Hillary Hunziker called her mother to tell her “she had done it” and that her mother needed to take the child according to the instructions she had given her the night before. When her mother asked what she had done, Hillary simply responded “artery”. Hunziker is currently being held at the Buchanan County Jail. The investigation continues.